Villas for beach-lovers! Extraordinary views and beautiful beaches. 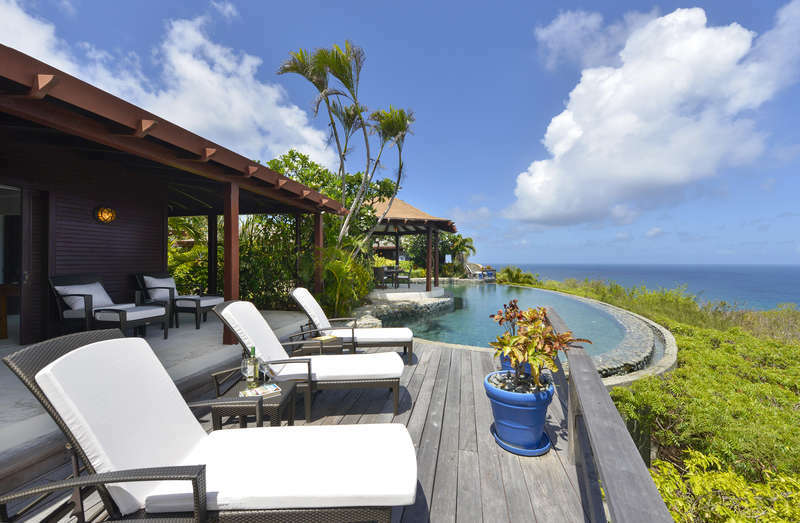 Introducing the Rental Escapes Luxury Beachfront Rentals & Ocean View Villas: prepare to savor world-class Caribbean destinations like Anguilla, Turks and Caicos, the Dominican Republic, and the Cayman Islands, St. Martin, Jamaica, and St. Vincent and the Grenadines in unparalleled style. Every single property in our luxury oceanfront rentals collection was carefully and expertly selected by our highly experienced team of personal VIP concierges—all of whom have a personal passion for luxury travel. Every one of our magnificent oceanfront vacation rentals takes the fine art of beach-loving to a whole new level. Indeed, extraordinary views and beautiful beaches are just the beginning. 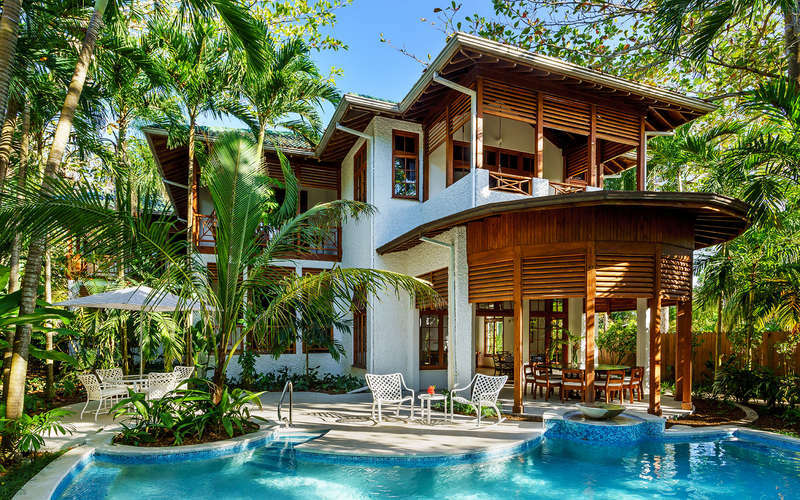 When you book beach house vacation rentals with Rental Escapes, you're choosing to embark on a one-of-a-kind luxury experience. Curating unforgettable, off-the-beaten-path luxury getaways for our guests is what we live for—which is why we only work with the most reputable property management companies in every one of our destinations. From secluded stretches of private beach set amidst tranquil landscaped gardens to breathtaking vistas of turquoise water and powdery white sand to palm-shaded beachside decks, one thing is for sure: you'll never want to leave. 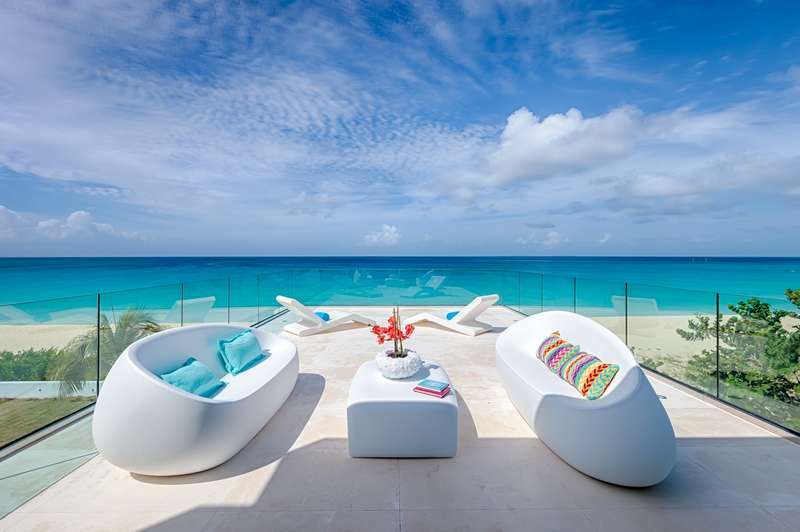 While some of our ocean view villas are teeming with meticulously hand-picked art, others offer heated infinity edge pools, outdoor Jacuzzis, beachfront covered terraces, fire pits, on-beach sofas, spacious dining areas, and gorgeous history-rich architecture to boot. No matter how big or small your party or what the purpose of your trip is, there is an ideal Rental Escapes private beach rental to perfectly suit your purposes. If youd like to plan a special excursion during your stay, such as chartering a boat, some deep sea fishing, cultural tours, biking tours, tennis outings, private jets, or anything else, our pro team would be delighted to set you up with the highest quality options available. Our luxury beachfront rentals collection additionally includes highly personalized extras such as chef services, private party planning, and in-house massages—to name a few. Our themed packages are also understandably popular. Whether you're after a relaxing holiday, a week of adventure, or a romantic escape, we'll assemble a perfect schedule of activities—designed just for you. If you're not seeing the ocean beach rental you had in mind, be sure to browse our other incredible luxury villa collections, including the Ultimate Luxury Villas Collection, Luxury Vacation Rentals for Golf Getaways, and Luxury Ski Chalet & Ski Cabin Rentals, for all the true blue winter lovers out there. Regardless of what kind of luxury dream vacation you have in mind, our expert team's labor of love is making it come true! Your perfect luxury beachfront rentals and ocean view villas await! Get in touch today to take the first step toward planting your feet in that warm and welcoming, sun-kissed, ocean sand.